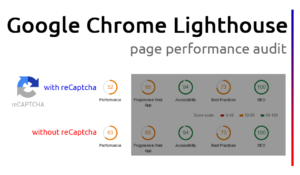 Google Invisible reCaptcha – How To Boost Lighthouse Performance Score? 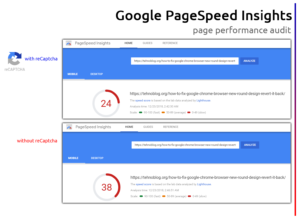 Did you know that Google’s reCaptcha anti-spam system SLOWS DOWN all of your websites? If you don’t know what Lighthouse is check our brief introduction to Lighthouse project. 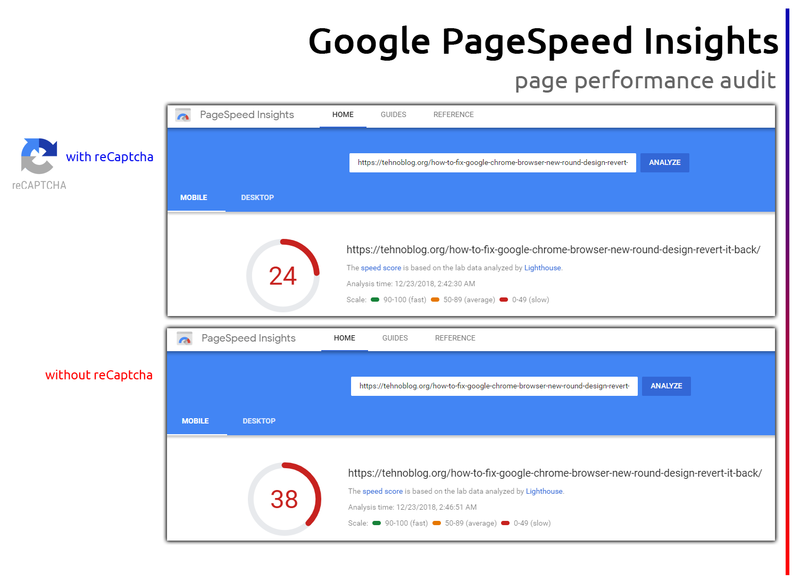 Recently, we were working on speed optimization and come to some very interesting findings during our website performance audit. 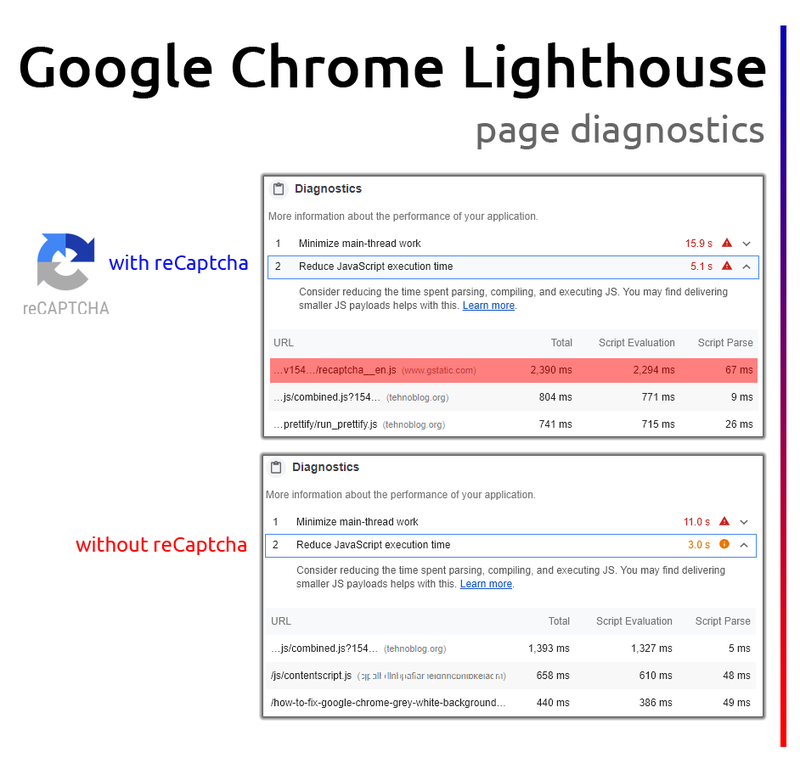 One thing in particular that came as a real shocker was recaptcha__en.js resource that was listed as NO.1 culprit in our JS performance profiling section under Lighthouse audit session ($300 laptop). Over 2 seconds were spent just to evaluate that huge code base (api.js initiates recaptcha__en.js) and little over 50 ms to run it. The later part is not a big deal, but the former one is. Why? Because it affects Time to Interactive parameter in Lighthouse, apparently, and, that is a big deal. 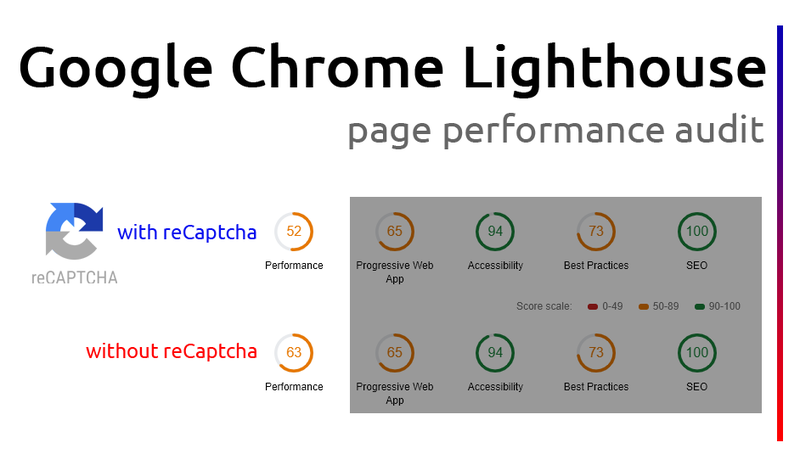 To further verify these findings, we did a ON/OFF A/B testing with/without reCaptcha plugin enabled in WordPress, and it was clear as black on white that it is a big deal, after all. See screenshots below + summarized table with scores. The above results are far from ideal, but can you notice (can you?) that single “thing” in form of a reCaptcha library contributing to a huge score penalty? What alternatives we have at our disposal to improve this awkward situation? Well, for one, we have absolutely no intentions leaving our property unprotected. No, sir! On the other hand, we don’t wish to penalize every user/visitor of our website, who doesn’t want to leave comments or fill-in contact and registration forms, pushing towards it’s browser’s throat all protection stuff completely unnecessary! Forget about Ajax splitting, keep things just as they are, and trigger loading/execution/running of reCaptcha library only when user interacts with the input form(s). 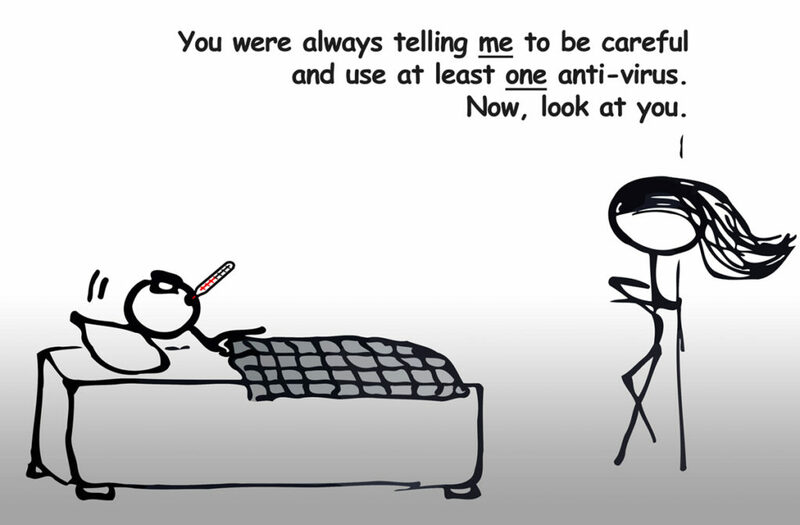 This is, actually, quite possible and relatively easy to implement! Ideally, we should trigger Google reCaptcha loading only when users interacts with our forms – e.g. 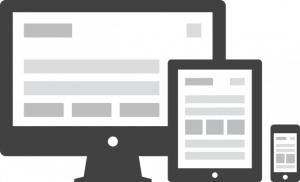 when the form is in focus, or when user starts typing into the forms. While they are typing their nonsense, reCaptcha will silently load in the background in a split of a second, starting it’s protective role on our form(s), but, not before that event! 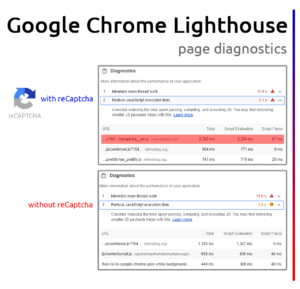 Important part here is to remove loading of https://www.google.com/recaptcha/api.js?… script right away in the header – that’s a big no-no now! If you use WordPress or other CMS plugins, you should modify plugin’s enqueue function. Example universal reCaptcha explicit render implementation for WordPress (note: see invisible-recaptcha plugin > PublicEngine.php file for more details). Note: We have greatly simplified below code, because in newer plugin versions support was added for Contact Form 7 (CF7) plugin as well, which is not relevant in this case. Bind reCaptcha to form input field focus event listener. Of course, here’s the part where you can get creative. For example, you can initially hide comment input form and place a button named ‘Leave comment’ or similar. When user clicks on that button, it will reveal comment input form, and load reCaptcha library simultaneously. Naturally, code will require some modification e.g. to change event listener from ‘focus’ to ‘click’ event and target elements (tags), but everything else should remain essentially the same. Hi, this exact implementation is currently running on this very website and it is definitely working. Back-end side must be modified to avoid initial loading of reCaptcha on page load, as clearly mentioned right at the beginning of the section in the article titled PART 3: reCaptcha Explicit Render. We have omitted plugin modification side, because it is WordPress and particular plugin specific solution, not a universal one, as plugin may get updated and this mod no longer be valid. And it will work. 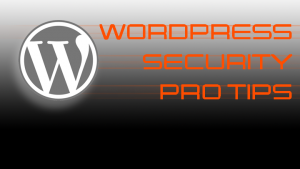 WordPress 5.0+ is required. This modification is required because we need to remove wp_add_inline_script() dependency: enqueued reCapcha api.js script. This way we will 'trick' plugin to load explicit render code without api.js dependency being loaded and prevent reCaptcha run on initial page load.